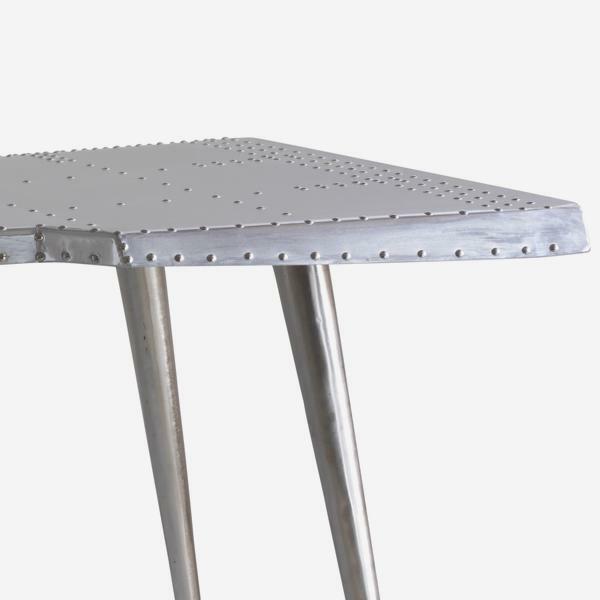 A studded metal desk in the design of an aeroplane wing. Aviator is every boys' dream, it's a statement piece, modern and fun. 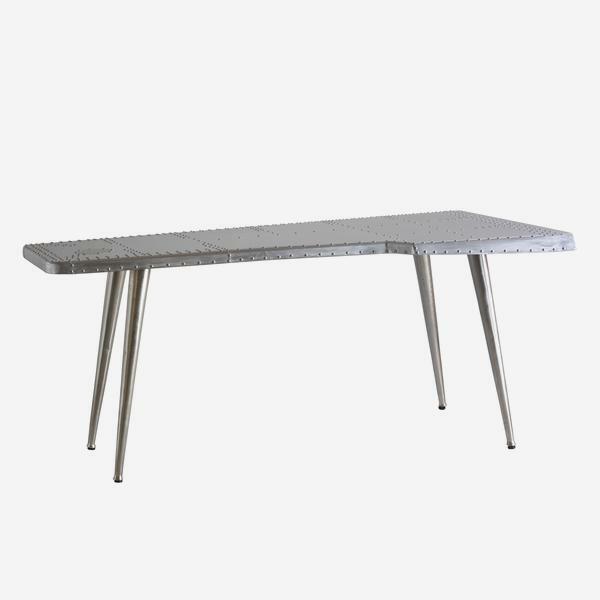 With decorative stud detailing and tubular legs, it will add a sci-fi, movie feel to a room and transport you to the stars.